Envirosep’s Custody Transfer Systems are certified engineered and manufactured skidded systems used for the accurate measurement and transfer of bulk handling applications. Certified meters and batch controllers, from leading manufacturers, are utilized in our complete system design. Our Custody Transfer Systems can be designed on a stationary skid frame or configured for portable solutions which both can be fitted with loading hoses, loading arms and fall protection for any fluid or gas handling needs. Our in-house engineering licenses, ASME authorizations, certified welding inspectors, and UL Listings ensure that you receive the highest level of integrity in a supplier. 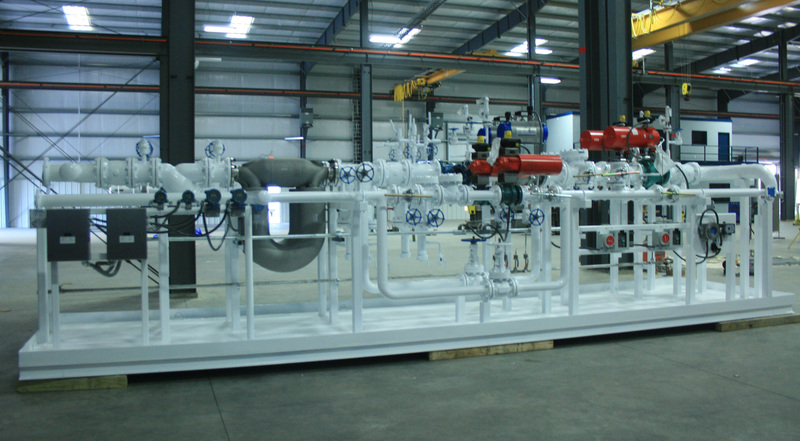 EnviroSep’s LPG, CTP (Custody Transfer Propane) & Liquefied Gas Transfer Systems are certified engineered and manufactured skidded systems, which utilize compressors, used for the accurate measurement and transfer of liquefied gas products. Because liquefied gases are so easily vaporized, the Envirosep compressor system ensures that over 99% of the product is transferred. Envirosep utilizes the most reliable system components, from leading manufacturers, to provide the most precise and dependable system design. Our LPG, CTP & liquefied gas systems can be designed on a stationary skid frame or configured for portable solutions which both can be fitted with loading hoses, loading arms and fall protection. Our in-house engineering licenses, ASME authorizations, Certified Welding Inspectors, and UL listings ensure that you receive the highest level of integrity in a supplier.